Regional construction software dealer Sunrise Technology Group, Inc. developed an add-on application for one of their accounting software products, The Construction Manager. I helped them create branding images for the software (favicon, splash screen, header image, etc.) 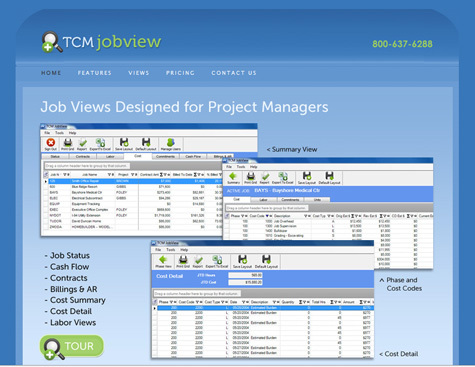 for TCM JobView, a well as a website to communicate features and available views. Using the SquareSpace platform, the client will have the ability to easily add new screenshots and sales content to aid them in the demonstration and sale of thier new application.